Could your child use a boost in their Social Brain Building this summer? CSC is looking for campers, ready to use their imagination to set out on a Social Brain Building summer adventure. Children want to belong, to feel connected to their peers, be able to solve problems and effectively use spoken language to share ideas. Kindergarteners work hard to learn to handle activity, transitions, attend and self-regulate big feelings and big energy. Parents work hard too, endeavoring to learn the best ways to support a child’s social-emotional growth, while maneuvering along their road to academic success. With children and parents in mind, Child Success Center’s Melissa Idelson and her team of skilled therapists have teamed up with social learning specialist, Kelly Priest, to develop…. … a play-based, 2-week summer enrichment camp for children ages 6-7, designed to boost social/emotional learning, with integrated parent education and support. 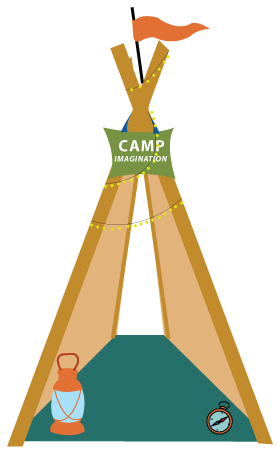 Children will use their imagination to build their “campsite” in the CSC sensory gym, and problem solve camp themed scenarios, like what they would need to pack for a camp adventure, how they’d get there and what they would eat. 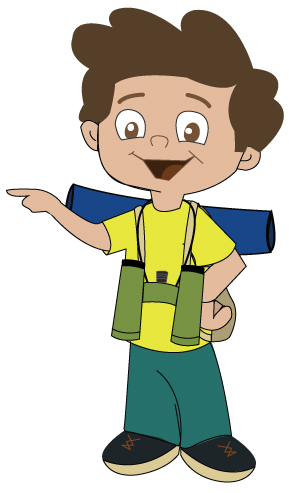 Our occupational and speech/language therapists will become “camp counselors” guiding campers to create a summer camp adventure of bird watching, wildlife spotting, river crossing and story telling, all while providing them with a fun, safe and nurturing environment to practice kid-friendly social strategies and experience successful outcomes. Campers will grow and learn while having fun building their social-emotional attention and group dynamic skills that will set them up for successful relationships in first grade. Parents will be provided with ways to help support their child’s ongoing social learning at home, and two parent education sessions with Kelly Priest will be offered at an additional fee (see below). Kelly Priest, M.S. is a social learning specialist who consults with parents, schools, and other professionals on healthy, safe, and supportive approaches to helping children with social learning challenges. Kelly was an early adopter of Social Thinking® in Los Angeles. Her approach to social learning is informed by her experience as a group facilitator, parent educator, school counselor, SEL consultant, advocate — and most importantly, as a parent. While her work is grounded in practical, effective, concrete tools and strategies, Kelly’s approach centers and affirms the needs, interests, wholeness, and diversity of all social learners. Kelly serves on the professional advisory board of Park Century School, the Equity & Inclusion Task Force at Culver City Unified School District, and provides professional development for a wide range of helping professionals, teachers, and businesses. SPACE IS LIMITED! Call 310.899.9597 to learn more or email officemanager@childsuccesscenter.com for assistance with enrollment. >Click here to learn more about Social Brain Building at Child Success Center.